Travertine has been a favorite natural stone material for flooring and walls for centuries, dating back to the early Egyptians. However, the ancient Romans discovered huge amounts of the material near the city of Tibur and began to use the stone extensively for construction of many of their buildings and plazas. The name travertine actually evolved from the city name, Tibur. Is travertine durable? Note that the one of the most famous buildings in the world, the Roman Colosseum, was built in the year 70 AD almost entirely from travertine. Subsequently, many other structures throughout Europe were built form this material. Travertines mild tones complement just about any surrounding décor. The stone comes naturally in various earth tone shades of rust, browns, and tans sometimes with an orange-reddish hue for accent. Properly selected and installed, travertine tile patios and walkways add a sophisticated and subtly elegant look that, because of the variations in pattern in each tile, will be unlike any other creation. Considering how long many old world travertine structures remain, it is fair to say a well-maintained travertine surface will last several lifetimes. The surface will not show chips and scratches as other materials might. While weather-resistant sealing material can protect the stone and keep it looking new, many find the weathering effects to add to the beauty of the stone. Each style of travertine tile from PetraSlate in Denver has been cut to a thickness of ½”. If an individual tile becomes broken or otherwise ruined, replacing tiles is very simple. 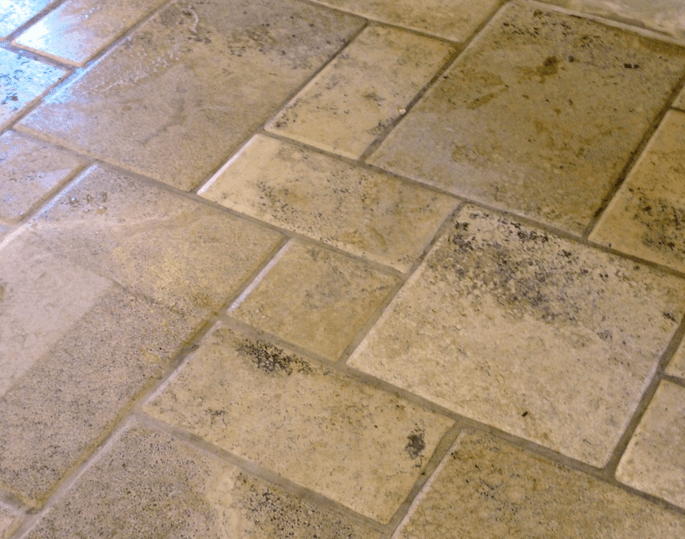 Also, because travertine tile can be porous, applying a penetrating sealer followed by a surface sealant will help to keep the stone from showing stains from spilled liquids and other substances. PetraSlate Tile & Stone in Denver is a leading North American supplier of natural stone tile and veneers. While their portfolio also includes limestone, marble, and slate, travertine is very popular for outdoor use. These options vary from very light to dark, and patterns that range from very subdued to extremely prominent. Similar variations are available for the Tumbled and Versailles patterns. PetraSlate is a leading supplier of the world’s highest quality natural stone products for the architectural and construction industries. Visit the Petra Slate website to view the vast array of natural stone products or phone (303)-280-9595 for more information.